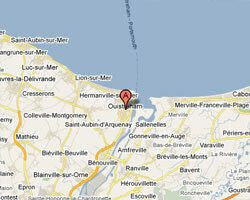 Ouistreham is the outer harbour of Caen, located at the mouth of the Orne river. The seaside part known as "Riva Bella" offers a long sandy beach gently sloping, pleasant for children and beach fishing. Ouistreham is a mecca of the Battle of Normandy: Sword Beach, in the British sector. In Ouistreham enjoy a seaview holiday rental. Holiday House, 7 rooms (140sq. m) Facing a sandy beach. thalassotherapy center and casino : 300 m, town centre, market, and shops at 500 m. Garden 30 sq. m, little courtyard 50 sq. m, barbecue . 4 Bedroom(s), 2 double bed(s). short stays possibility. Final cleaning : 50 €. In the district of Riva Bella, facing the sea, Anglo Norman style villa, 150 m2, completely renovated by an architect, very luminous and quiet, accommodating 10 people. 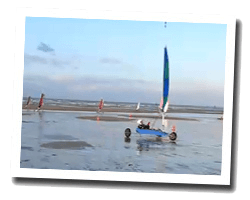 Ideal to enjoy the beach and visit the landing beaches. 4 Bedroom(s), 0 double bed(s).